Please take a look at the proposed alternatives to help alleviate flooding associated with the Schoonmaker Creek watershed. 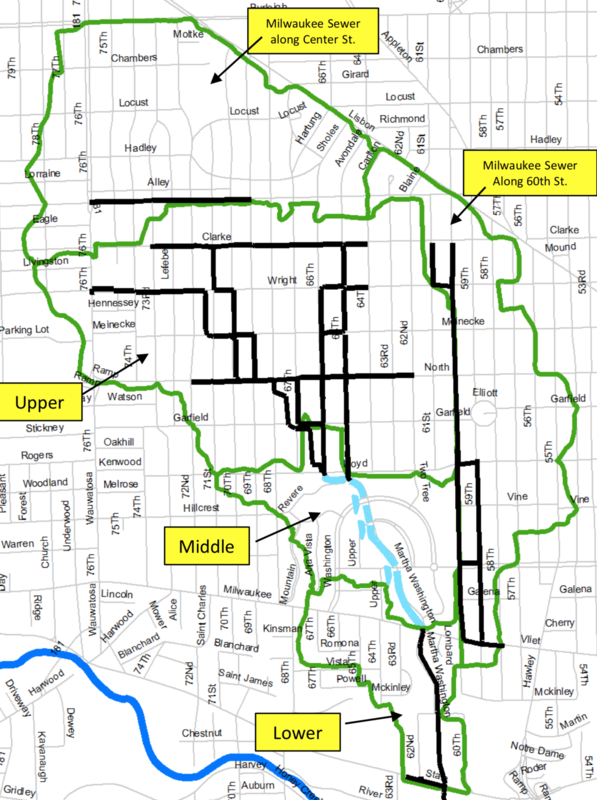 The area that drains to the Schoonmaker Creek is larger than you think! 2 of the 4 proposed alternatives include razing homes in the Pabst Park and Tosa East Towne Neighborhoods, so please give your feedback to the city by November 30th via their online form. A link to the city website with all the proposed alternatives, can be found, here. History about the Schoonmaker Creek, here. The City of Wauwatosa, Milwaukee Metropolitan Sewer District (MMSD), and Southeastern Wisconsin Regional Planning Commission (SEWRPC) recently held an open house on the East Tosa Schoonmaker Flood Study. The extreme rain events of 2010 caused flooding throughout Southeast Wisconsin, including Wauwatosa. The City of Wauwatosa, MMSD, and SEWRPC have been working together on a comprehensive study to understand what possible investments in infrastructure could mitigate this flooding from reoccurring. 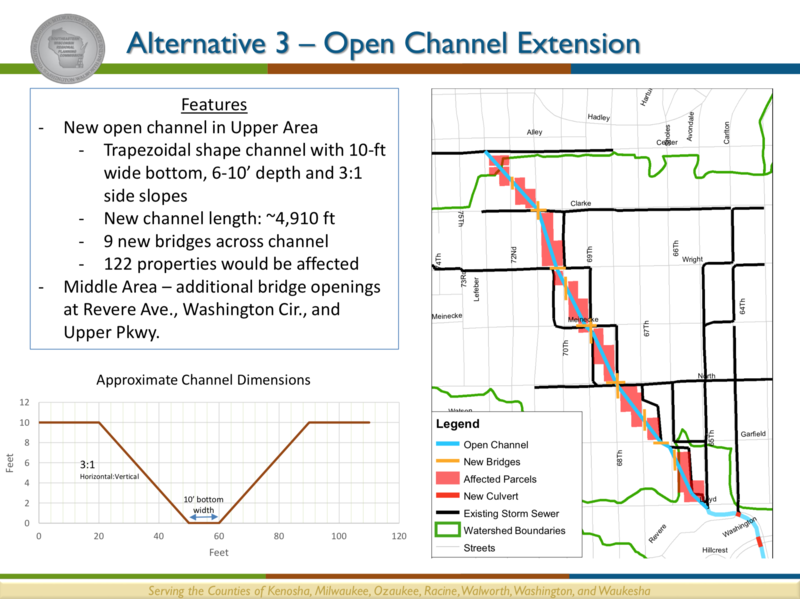 SEWRPC presented these slides at the November 13 open house on the history of the flooding and Schoonmaker Creek and alternatives for infrastructure to mitigate flooding from reoccurring. Residents are encouraged to complete the comment form online by November 30 and submit their thoughts on this project. Residents can alternatively access a printable PDF version of the comment form here if they wish to mail it in. Please note that there are no recommendations as to how to proceed at this point in the study process. Members of the public will be able to make written comment at the meeting. The Schoonmaker Creek runs from Kops Park neighborhood in Milwaukee in storm pipes underground to the Washington Highlands, where it is in an open channel until Vliet Street when it goes back underground, and eventually terminates into the Menomonee River.